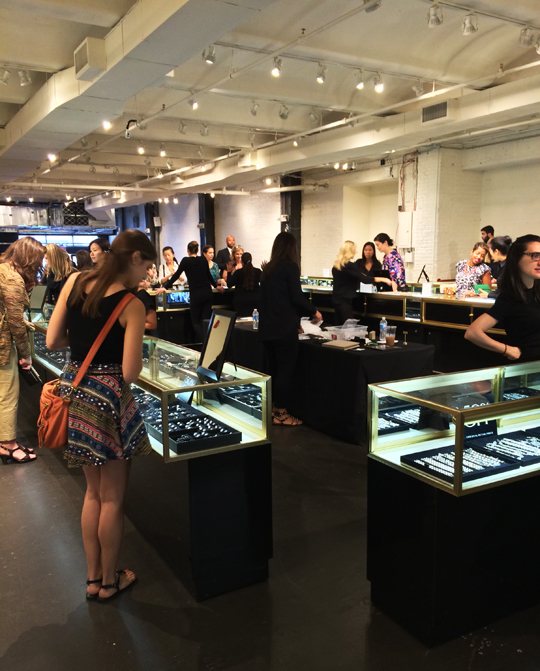 Starting today until Friday, Chelsea Market will be host to sparkly gems and shiny silvers. What's the occasion, you ask? 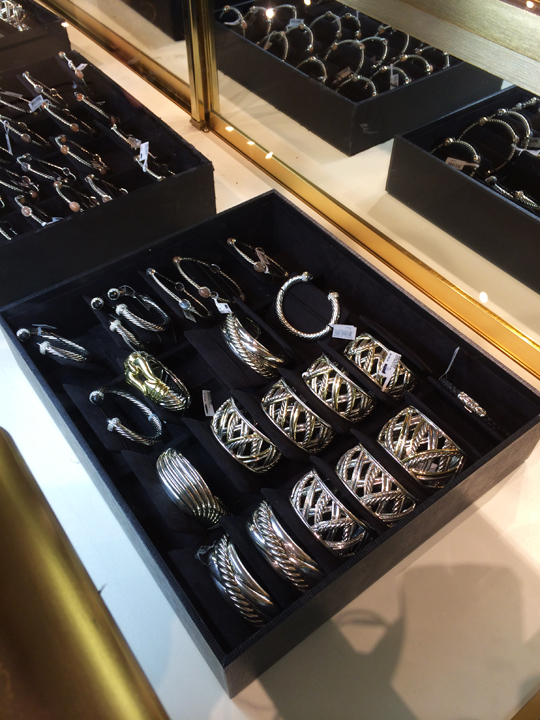 It's because the master of cables, David Yurman, is having a Friends and Family event. This is their second one this year. Itching for some good steals, I dropped by the sale to start off my morning rather glamorously with the brand's eye-catching eye candies. 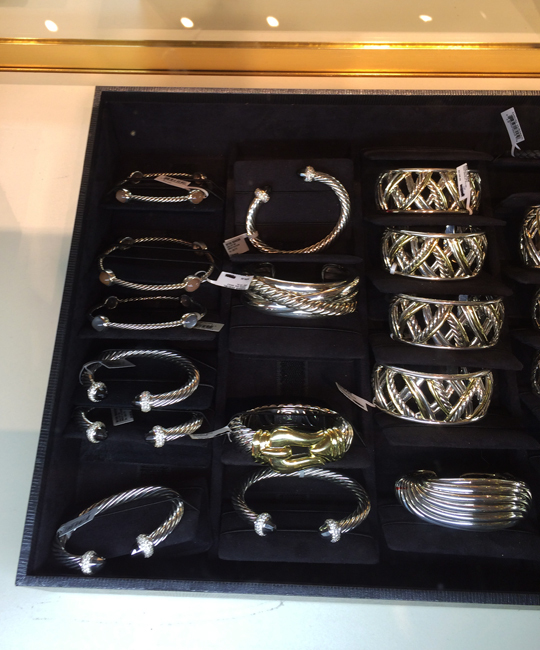 If you're a cable connoisseur interested in this week's David Yurman sale, you might want to read this first. Right off the bat, there's one thing to note. The sale entrance is on 16th Street. If you think you can just walk into Chelsea Market and go straight inside the sale, you're sorely mistaken and will have to jog back out and around the corner. Once inside, I found the ambiance somewhat hectic at times but overall moving in an orderly fashion. 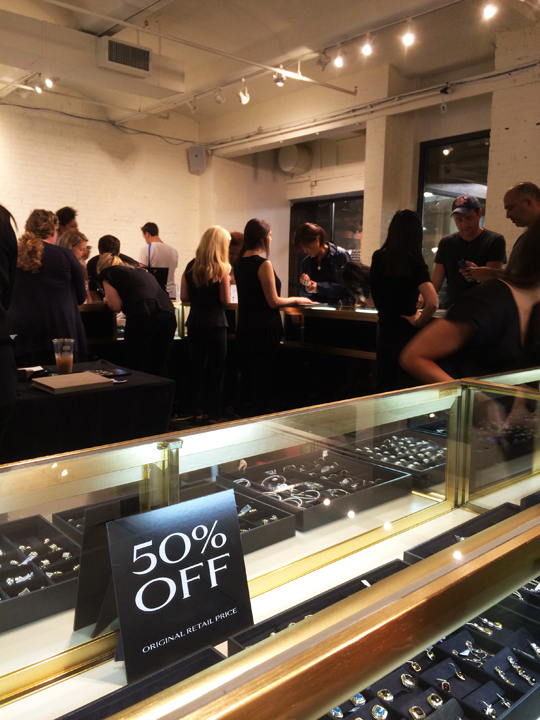 Just like previous David Yurman sales, discounts ranged from 40% to 60% off retail with most items in the 50% off category. 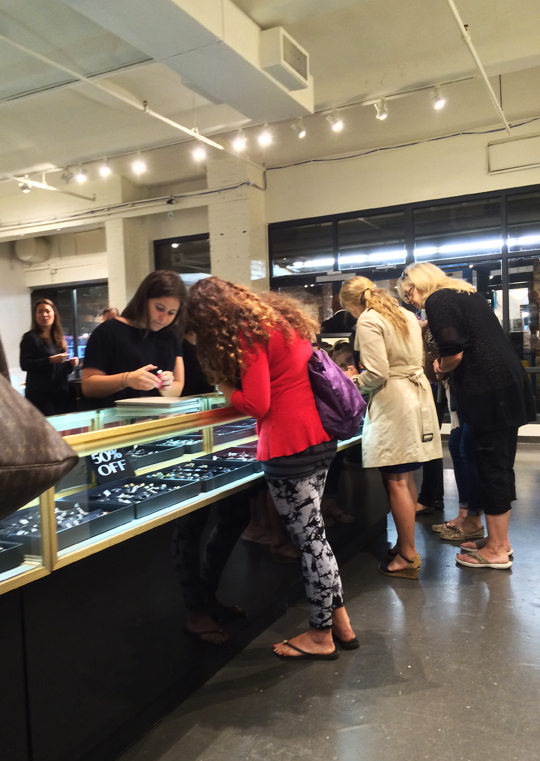 Though prices were similar to prior Yurman events, inventory was noticeably lacking when compared to the ones at the Altman Building. 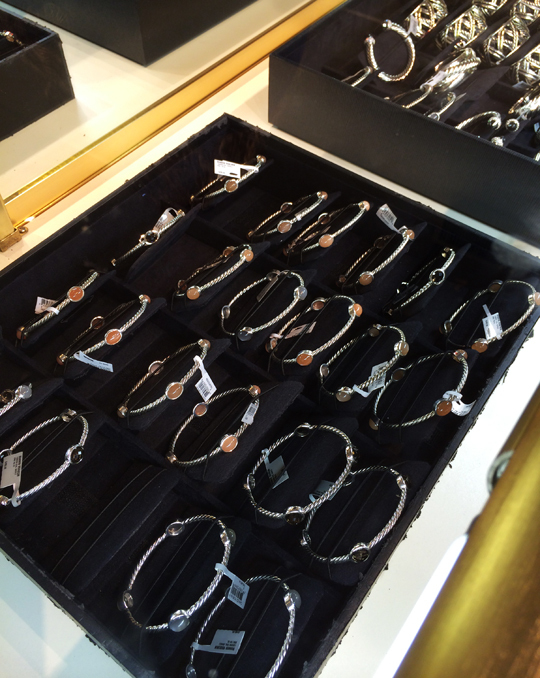 The brand's signature cable bracelets, for instance, were definitely harder to find. 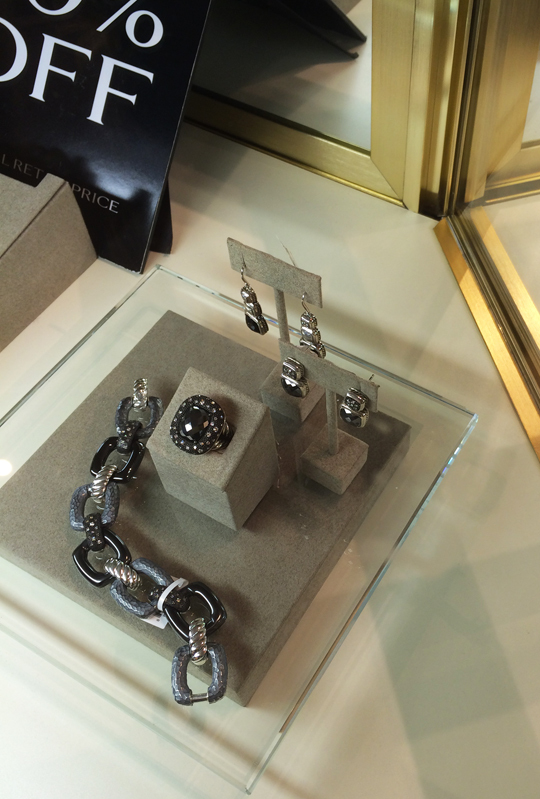 But with keen eyes, I was able to spot 10mm Cable Classics bracelets for $1,687.50 (originally $3,375), Hampton Cable bracelets with black diamonds for $2,350 (originally $4,700), 3mm Four-Station bangles like this one for $247.50 (originally $495), 23mm sculpted cable cuffs for $387.50 (originally $775). In the center of the venue stood glass showcases arranged in a rectagular fashion. 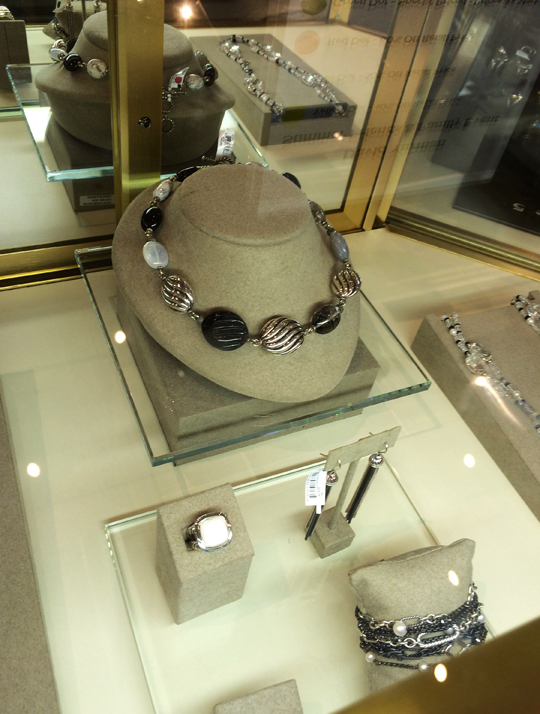 Behind the glass, necklaces with pendants and pearls shimmered against the light. 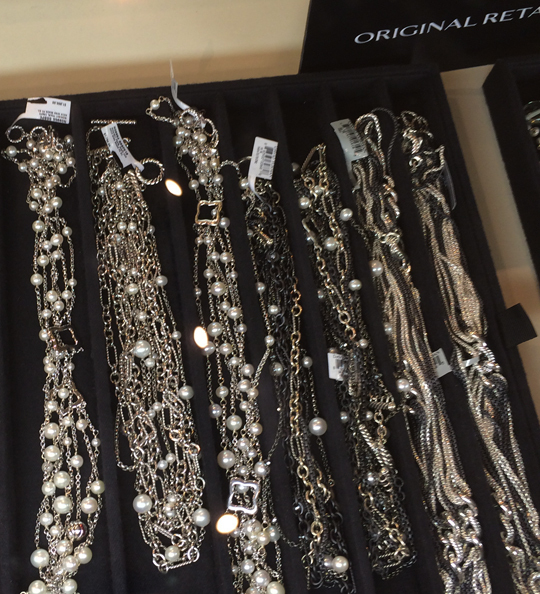 I spotted a chain necklace with pearls priced $600 (originally $1,200), a cable wrap pendant with lemon citrine priced $600 (originally $1,200), and a three-row chain necklace priced $412.50 (originally $825). 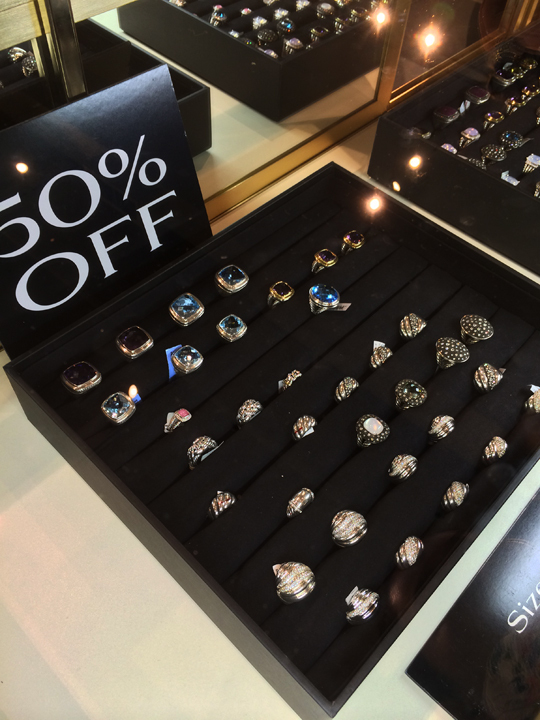 Next to the necklaces were several black velvet display trays full of rings. Sizes for rings ranged from 5 to 8. 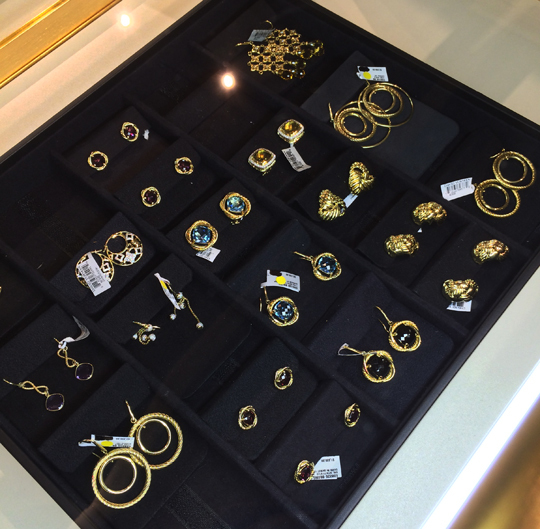 As for earrings, I spotted several different styles such as Infinity with blue topaz studs for $625 (originally $1,250) and DY Elements drop earrings for $225 (originally $450). The men's section was situated on the left side. 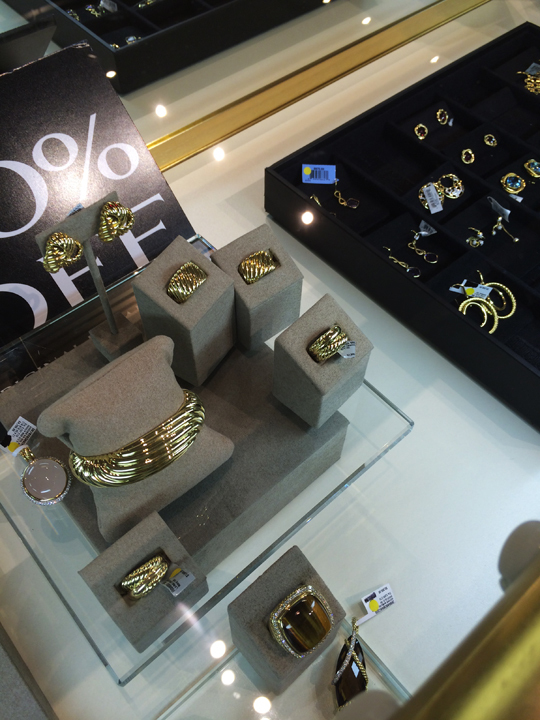 The merchandise consisted of a variety of rings (sizes "under 10", 10, 11, and "over 11"), cuff links, money clips, watches, silver chain bracelets, leather bracelets, necklaces, and pendants. 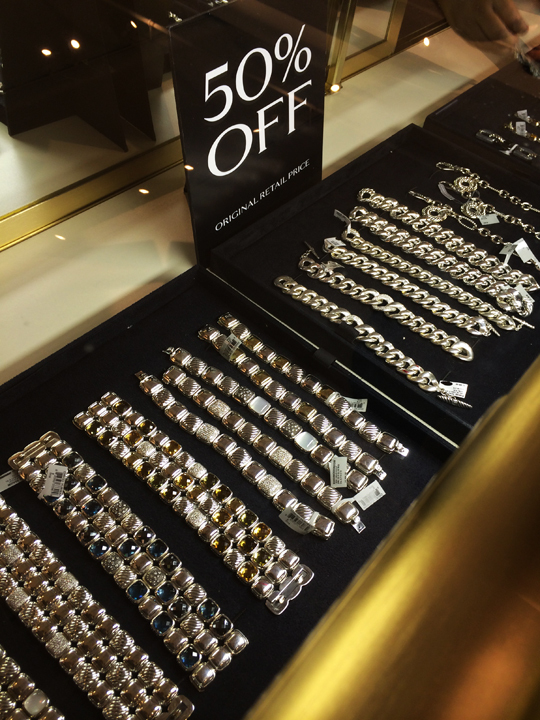 Most items, including watches, were 50% off retail. On the right side of the venue, there were five vitrines holding items that were "priced as marked". 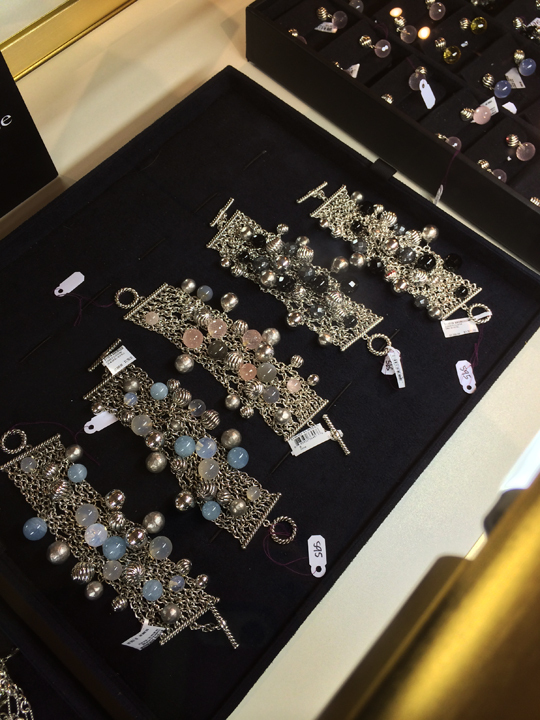 Here, I found a generous selection of pearl necklaces and other fine jewelry that were priced substantially higher than items elsewhere. Next to these high-end items, was a section for sunglasses. The bulk of the styles were black and tortoiseshell frames and prices started at $85. Lastly, I would like reiterate that the entrance was set up outside Chelsea Market on 16th Street. Do not waste your time by going inside the building. Hello! Thanks for the post as always! Was there a long line? There was about 20 minute wait this morning. As of this comment, there's no line. Anything for men? Like cufflinks etc? 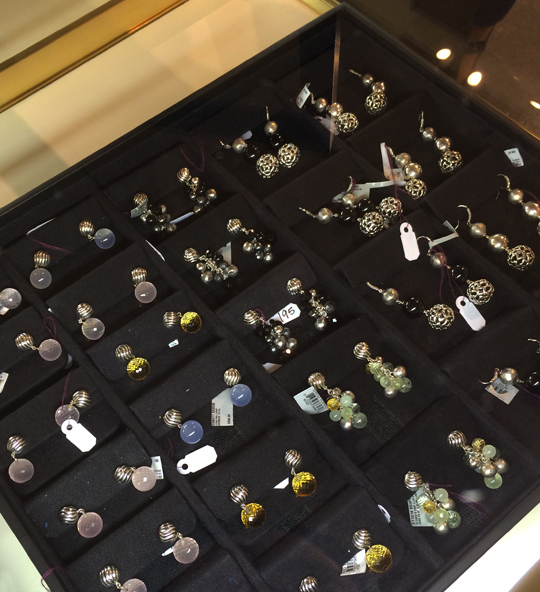 There were cuff links, money clips, watches, necklaces, pendants, and bracelets for men. Great review Miz! My mother is crazy about DY. Personally, I will pass on this sample sale, but will pass the word to my mother. She may enjoy it a lot. Hi Alexandra! 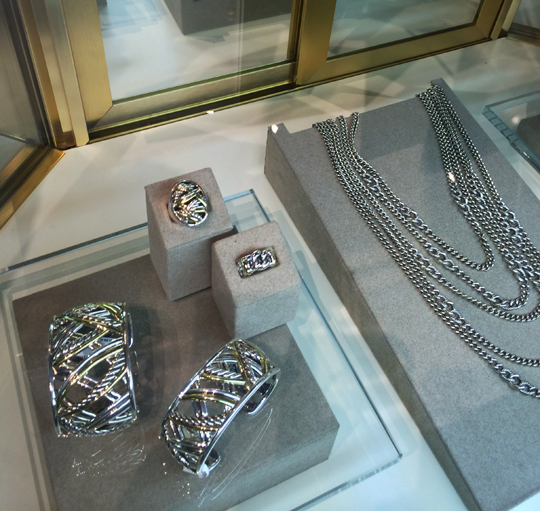 If your mother is a fan of David Yurman, I think she'll enjoy the sale. Thank you for reading! Thanks for the great coverage, Miz! Hi! I was there yesterday morning and a woman said that October's sample sale dates are set for the end of the month. Any news on exact dates? any more discounts for last day?